What is your favorite brewery in Raleigh, Fuquay Varina, Holly Springs and surrounding areas? There is a new craft beer shop opening on Fayetteville Street around Thanksgiving this year! It is going to be Paddy O’Beers but do not assume from the title and logo that this is going to be your typical Irish Pub because there is so much more to it! 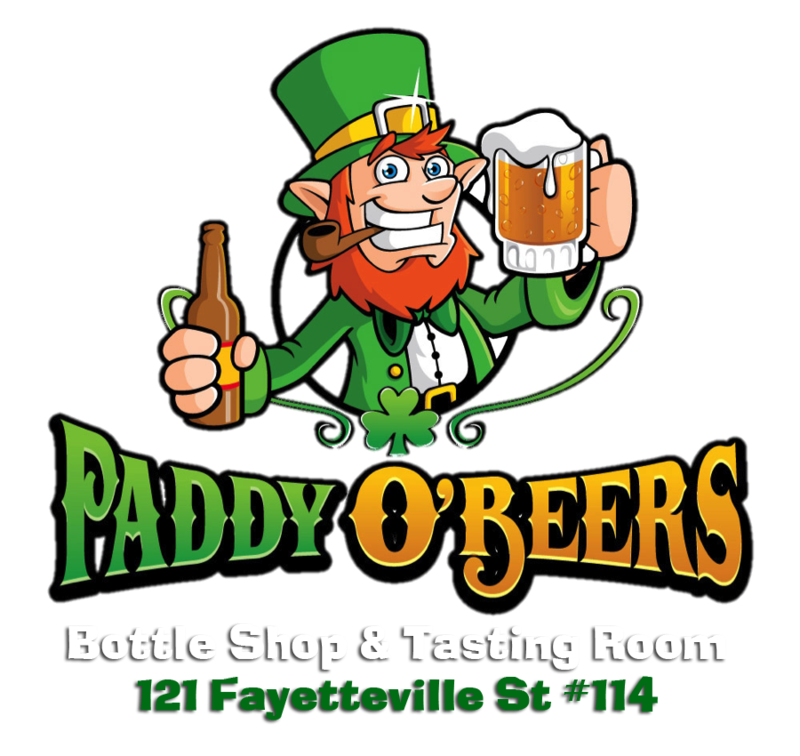 I asked about your favorite Brewery because Paddy O’Beers plans to always include beers from local breweries in their rotation on the taps, as well as have bottle beers from all across the Nation and World on hand. The only thing that won’t be on the menu is the mixed drinks and liquor, but there will be some wines available. A large outdoor patio can seat up to thirty people and would be a great meeting place after work for some snacks and some drinks. Make sure you stop by and check it out once it opens. Posted on November 8, 2013 by marykim1 •	This entry was posted in Lifestyles of Raleigh and tagged Brewery, Did You Know, Local Brewery, Location, NC, North Carolina, Raleigh, Raleigh NC, Taste Testing. Bookmark the permalink. ← Low Crime Rate in Cary, NC!